Save the date for the 5th annual Christmas Miracles Blues Bash on November 15th at The Old Triangle. Each year this this event has gotten better and better, and early indications are that this trend will continue. The following article from the Guardian about last year's Christmas Miracles Blues Bash gives you an indication of what to expect. Based on what I have heard about this year's bash, I can hardly wait. I'll be providing details as they are released. In 2010, Charlottetown blues band Bad Habits began a tradition, one that would be the opposite of a bad habit and that would eventually raise well over $10,000 for the Christmas Miracle campaign. The concept was simple enough from the get-go: Get a variety of blues acts together, do a big concert and donate the proceeds at the end of the night to a cause that will help make Christmas brighter for local children. And sometimes it’s the most straight-forward ideas that can be the most effective, isn’t it? The annual Blues Bash has become a much-looked-forward-to mid-November party ever since — one that seems just as productive in the fundraising department as it is in the fun department. And after I took in the fourth annual Bash this past Saturday night at the jam-packed Old Triangle, the correlation was clearly evident: The more people that come out, the more fun it is and the more Christmas fun that is generated for Island children. And what a crowd of people there was last Saturday. The event began at 8 p.m., but the bar began filling up well before then, with many excited blues fans ready to enjoy some of the best blues music this region has to offer. With two stages in action — the acoustic stage upstairs in The Pourhouse and the electric stage in the Old Triangle — it was a seamless night of entertainment. What started things off on the Old Triangle stage was a group of teenagers who have been busy the past couple of years creating a blues miracle of their own: Charlottetown’s very own Ripped Paper. You may know them best as the band of rocking youngins’ who have regularly played the outdoor Victoria Row stage over the past couple of summers. Perhaps you’ve walked by and thought, “Oh, hmm, I wonder what seasoned blues musician is kicking out this jam for the dining tourist crowd ...” and then looked up on the stage to see a young teenage boy ripping it up on the electric guitar, surrounded by other teenage dudes rocking it out alongside him. That 14-year old lead singer/guitarist’s name is Logan Richard, and on Saturday night, he along with band mates Stephan LeClair (bass), Connor Nabuurs (drums) and Tanuj Fernando (keyboards) kicked the Old Triangle into high gear right away with a set that nearly tore the roof off the place. I can only imagine how tame going back to typical Stonepark Intermediate School life would have felt for those four this past week after rocking that raging party. I, along with so many, look forward to seeing how these guys will continue to develop as a band as the years roll on. Local blues solo guitarist/singer Chris Field began the show up in The Pourhouse with a great handful of originals that was well-received before he dashed off to another gig across town (only to return later to rip it up on electric guitar for the late night blues jam as well). Other acoustic stage acts included the always-bang-on Scott Parsons (along with John Cain and Davey Garbus) and Theresa Malenfant with Katey Day (who blew the shoulder-to-shoulder audience away in their raw, impeccably-harmonized blues-driven power). Rounding out the acts on the Old Triangle’s electric stage were the Plain Dirty Blues Band (catch them at their CD launch at Globe tomorrow night), a brand new band that got the crowd boogying called The Place Shakers (which features several members of Bad Habits) and the blues jam, led by Adam MacGregor & The Foes. Singer/songwriter/guitarist Christine Campbell, the 2013 Music Nova Scotia new artist of the year, was a major highlight of the jam. And what truly made the night extra special was a finale performance by the reunited Bad Habits, who rocked out a handful of tunes for a crowd who just could not get enough of it at the end of the show. When all was played and partied, a grand total of $3,500 in cash was raised for the Christmas Miracle, along with approximately $500 worth of toys, all translating to what will be a whole lot of very happy kids this Christmas. Yep. Pretty unbelievable what a bar full of people partying it up to blues music can do. And, as the dedicated co-ordination team led by Carla McKie with Dale McKie and Liam Kearney are already planning for the 2014 Blues Bash, who knows what blues miracles next year will bring. Lineup announcements start this weekend!! There will be a total of 8 amazing performances this year at The Old Triangle!! Announcements will be being made throughout the week, and the organizers are very pleased to kick it off by welcoming the incredibly talented Mike "Cheapfeet" Dixon to the acoustic stage upstairs in The Pourhouse! Mike Dixon is a singer-songwriter & 21st century songster. He performs Blues, Folk, Pop & Old-Time as well as his original material on acoustic 6 & 12 string & banjo guitars. He performed at the 2010 Olympics in Vancouver, has won ECMA & PEI Music Awards with his Americana group, Saddle River String Band, & his song ‘Bye Bye PEI’ was featured in the stage production of ‘Come All-Ye’. Mike has appeared on many stages including The Indian River Festival, The Harvest Jazz & Blues fest, Stanfest, Dutch Mason Blues Fest & many more. These fine young gentlemen were the talk of the Bash last year (see Guardian article above) so the organizers just had to bring them back! 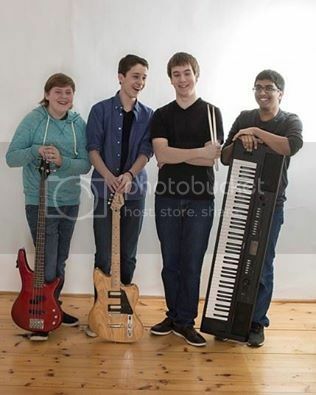 Ripped Paper is a young blues band from Stratford, PEI consisting of Logan Richard on guitar, harmonica and vocals, Stephan LeClair on bass, Connor Nabuurs on drums, and Tanuj Fernando on keys. The boys are 15 years old, and have been playing together since they met in seventh grade. They have been playing on Victoria Row for the past three summers, and have also been competing in various contests such as the Eastlink Sound-Waves Battle of the Bands (where they finished in first place), the Q93 Battle of the Bands (where they finished in second place), and recently Rocking with The Stars, where the boys were selected to play in the musical “Canada Rocks!”. Whether playing one of their original songs or covering a blues classic, these young men never fail to entertain. They are impressing even well etablished blues musicians with their talent. You will definitely want to make your way to the acoustic stage to check out Vintage Blues .0! 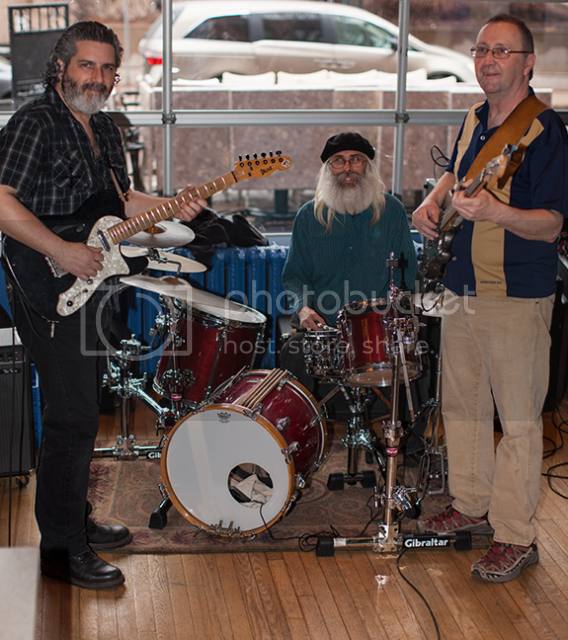 Some of you may have caught a sneak peek when Tim joined Got Blues Band at the Moosehead Blues Matinee recently. With two acoustic guitars and two voices, Tim MacPherson and Don Bowers of Vintage 2.0 do their best to stylishly recreate your favourite folk rock, maritime, pop, rap and blues songs. People sometimes ask them where we get their 'backing tracks' but the reality is it that it is all happening right in front of the audience! They cover material from the 50's through to today but will be tailoring their set for the 5th Annual Blues Bash to some of their favourite blues songs! Like a fine wine, Vintage has matured, but remains appealing to all tastes. There aren't many bands that can boast that they've been together for more than 20 years, but Vintage is one of them. A 2010 PEI Music Award winner, Vintage continues to please the palate. The organizers are very happy to welcome this next act back to the Electric Stage! Got Blues are the grandaddies of the PEI blues scene. The group started as the house band for a local blues matinee and jam which they still host every Saturday from September to June at The Factory. The band is comprised of Chris Roumbanis on bass/guitar & Mike Robicheau on guitar from the award winning blues band, The Blueprints, along with Reg Ballagh on drums from Rhythm Rules & the Soul Food Trio. The matinee has a guest every week and most of those guests are honorary members allowing the band to play a wide range of blues styles. They released their first CD – Vol 1 to great reviews in 2013. “3.5 stars – The Guardian” If you like a mix of traditional and modern electric blues, Got Blues are a must see! While Todd's away, Amanda and Dale will play... the blues! Amanda Jackson and Dale McKie may be best known as former members of the blues/rock band Bad Habits, but have most recently been making waves in the acoustic Trio, the Amanda Jackson Band. Hitting the stage earlier this summer they’ve been playing to crowds all over Eastern PEI and also received a prestigious invitation to play at the Dutch Mason Blues Festival in August. Over the past few months, they’ve written and performed over a dozen original songs with fellow bandmate,Todd MacLean and are continuing to write and refine their songs in preparation for their debut album as Todd travels across North America in support of his first book, Global Chorus! 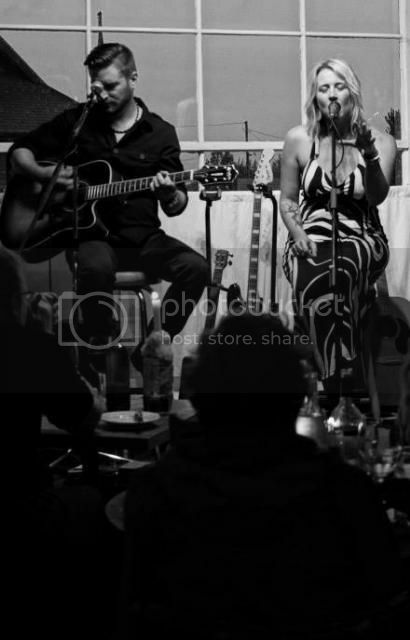 Amanda and Dale will be slipping back to their roots for this show and performing a full set of acoustic blues! Described as "raspy, earthy and honest" by longtime friend and fellow performer, Amanda Jackson, if you've not had the opportunity to see this next performer play, there's no doubt that you're in for a real treat! John Cain is a relative newcomer to the music scene. Although he has played guitar and sang for many years, it has only been in the last 5 years that he has performed for the public. 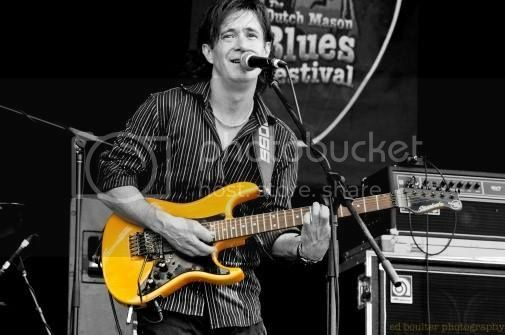 He has described himself as a hopeless blues man, finding his inspiration from the likes of Stevie Ray Vaughn, Albert Collins, Little Jimmy, all the Kings, BB, Freddy, Albert and countless others. His style could be described as Chicago style with a spattering of R&B. Joining him will be Gary Waterman,master on the blues harp, Davie Garbus, a bassist with years of experience and Walter Riley, an experienced drummer with a wide musical palette and all well known from the Waterman Blues Band. John Cain and his band will be featured on the electric stage downstairs in The Old Triangle! We are very fortunate and excited to have Dan Doiron heading over from Nova Scotia to headline the acoustic stage! A blazing spitfire guitarist with a six-string wall of sound who combines traditional and modern blues influences to create his driving sound and energetic show. Dan Doiron has been addicted to the raw energy of the electric guitar since he formed his first band at age 13 in Port Hood, Cape Breton. In fact some people say they don't recognize him without a guitar strapped on. His unique sound reflects his diverse background in rock, blues and classical guitar. For over 20 years he has been involved in the music industry in Atlantic Canada as a musician, music educator, (B.MUS.Ed from Dalhousie University with a major in classical guitar), National guitar clinician and recording engineer. In April 2011 Dan stepped out as a solo recording artist, and immediately joined the top tier of regional blues players, earning an ECMA nomination and Music Nova Scotia nomination for his debut CD, “Even My Guitar Is In Love With You”. 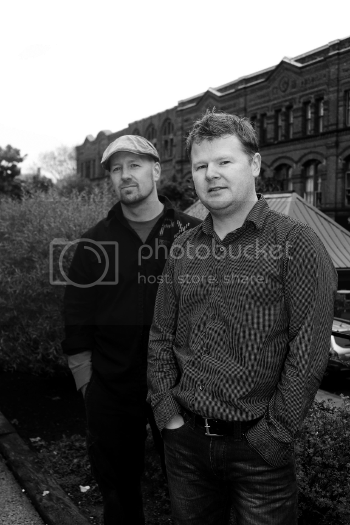 The sophomore album, "From Deep Inside", was released in May 2013 was nominated for a 2013 Music Nova Scotia award for Blues album of the Year, and has also just been nominated for a 2014 East Coast Music Award for Blues Recording of the Year. In October 2013 the band won the East Coast Music Association’s “Maritimes to Memphis Blues Challenge”. As a result they represented Atlantic Canada at the 2014 International Blues Challenge in Memphis, known as the premiere Blues event in the world! Dale, Jason, Amanda, Adam and Liam are excited to be stepping back onto the stage together for a ONE NIGHT REUNION as Bad Habits in support of this great cause! Five years ago, Bad Habits decided that they wanted to do something to give back to their community and reached out to other local artists to organize a night of blues. The blues community, being what it is, rallied together and welcomed the invitation to play with great enthusiasm and the Annual Blues Bash was born! Thanks to the overwhelming support from bands, venues, volunteers and blues fans, over $10,000.00 in cash and toy donations has been donated to help take the blues out of Christmas and make it a little bit brighter for local families in need! Bad Habits bring a sound that is truly their own and in true blues fashion, also pay tribute to the greats such as SRV, Buddy Guy and Colin James. With the powerhouse vocals of Amanda Jackson leading the way, the singing guitar solos of Jason Condon, Dale McKie's gritty blues harmonica and the solid rhythm section of Adam MacGregor and Liam Kearney, it’s no wonder Bad Habits took home New Artist of the Year at the 2013 Music PEI Awards! 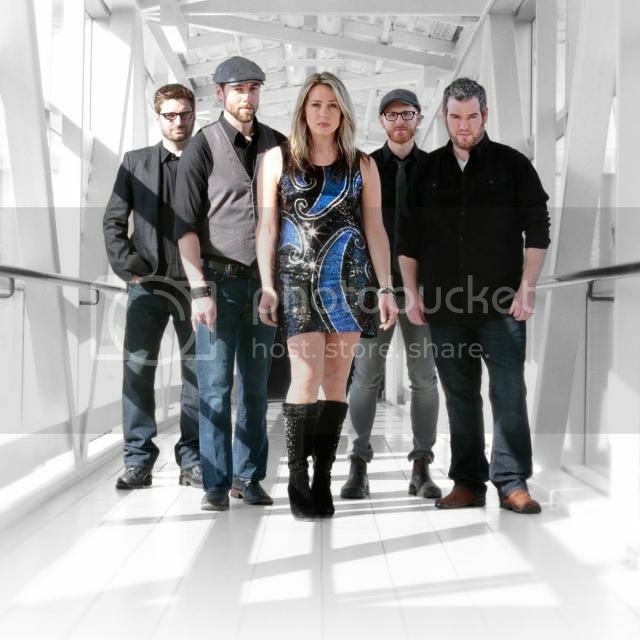 The band was a staple in the PEI music scene and their constant presence and dedicated fan base saw them recognized as the fan-voted Music PEI Bell Aliant Weekend Warriors in both 2012 and 2013. Since disbanding in mid-2013, members of the band have moved on to a variety of other projects including Adam Macgregor & The Foes, Amanda Jackson Band, and The Place Shakers. Arguably one of the best and most popular blues/rock bands on PEI of this generation, their legion of fans will undoubtedly be dusting off their Bad Habits tambourines and flocking to The Old Triangle on November 15th for this one night reunion. A show not to be missed!! And now, some samplings of each of the artists that will be performing. I've only had the pleasure of seeing Mike Dixon perform once before, at the Beef 'n Blues event in Summerside a couple of years ago. He is a captivating solo blues artist, and I am looking forward to seeing him once again on the acoustic stage at the 5th Annual Christmas Miracles Blues Bash this year. I've been following Ripped Paper for nearly 3 years now and have watched the evolution of these incredible young artists as they have gone from "pretty darn good for a bunch of 12 year olds" to "amazing at any age". Not only are they wonderful musicians, they are wonderful young men who have a maturity well beyond their years. 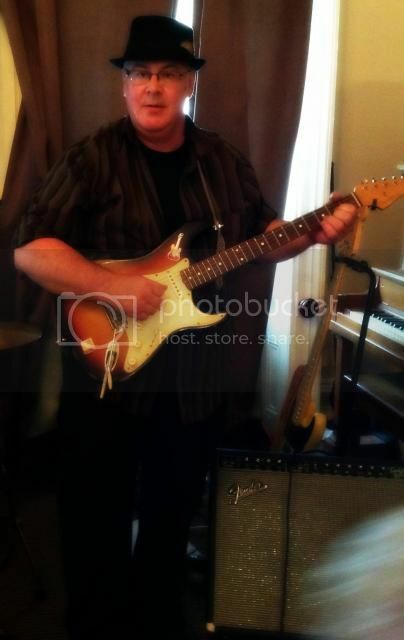 Logan Richard can play the blues guitar with the best of them and I expect that someday his name will be mentioned in the same breath as great Canadian blues artists like Charlie A'Court, Matt Andersen or Colin James. Vintage 2.0 and Vintage 4.0 have been entertaining Islanders for years with their polished sound. The Vintage 2.0 duo of Tim MacPherson and Don Bowers are always a treat, especially when they put on their blues hats. Got Blues are a weekly treat for me. Amost every Saturday afternoon will find Kreskin and Mrs. K at The Factory (and before that, John Brown's/The Globe) taking in the wonderful guest performers that Chris, Mike and Reg are able to treat music fans to. 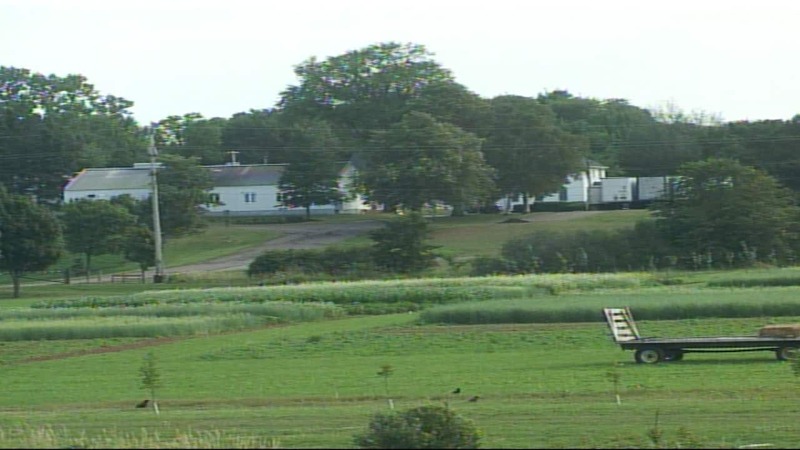 Blues music fans on PEI are very grateful to Got Blues for what they do to entertain us on a weekly basis. The Amanda Jackson Band is my new addiction. No one, and I mean no one, can sing the blues like Amanda Jackson. And although Todd will be away on a North American tour promoting his new book (Global Chorus), Dale and Amanda are still a force to be reckoned with. 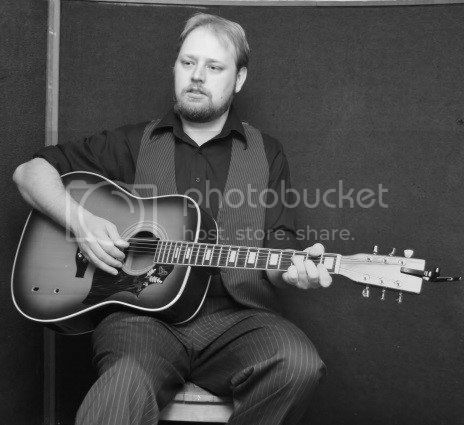 John Cain is an incredible guitar player who can bring a certain energy to any blues tune. I've had the pleasure of seeing Dan Doiron a few times, both here and in Nova Scotia, and he never fails to impress. Being chosen to represent Maritime Canada at the prestigious Memphis Blue Challenge was no accident ... this man is currently one of the best blues musicians in eastern Canada! And a pretty nice guy to boot! And of course ... Bad Habits. What can one say about the band that revitalized the blues/rock genre on PEI and captured attention beyond the Northumberland Strait? I'll let these clips say it all. 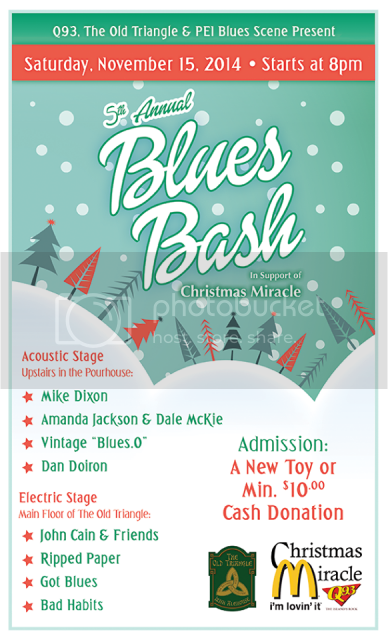 Details for the 5th Annual Blues Bash for the Christmas Miracle! The 5th Annual Blues Bash for the Christmas Miracle will be held on Saturday, November 15th, 2014 at The Old Triangle & Pourhouse in Charlottetown, PEI. The show will get underway at 8:00pm ! Please note, this is a 19+ event. Admission: A new, unwrapped toy or a minimum $10.00 donation per person. All admission proceeds go directly to the Q93 annual Christmas Miracle Campaign! Entrance: There will only be one point of entry for the evening (unless you require access via a ramp) via the Pourhouse entrance off of University Avenue . This will allow you quick access to either floor! Reservations: The Old Triangle Charlottetown will be accepting reservations on a first come, first serve basis for tables up to 6:00pm the evening of this event. If you are making a reservation, please advise that you will be attending the Blues Bash. You may also wish to specify whether you'd like your table on the main floor (electric stage) or second floor (acoustic stage). Again, this will be on a first come, first serve basis and subject to availability. 50/50: We will be selling 50/50 tickets at the door as well as circulating the rooms throughout the evening. Thank you to Paul and Jill Mansour and all of their staff at The Old Triangle for hosting (and so much more) again this year! Thank you to Q93FM for their partnership and support in this event! Thank you to all of the amazing artists who contribute their time each year! Thank you to Jon Matthews of The Sound Mill Recording Studio for enthusiastically agreeing to many hours of work setting up, making all of the artists on the main stage sound their best and tearing down at the end of the night, and to Dale McKie and Adam MacGregor for doing the same for the acoustic stage ... you guys all rock! Thank you to each and every blues fan for coming out, supporting this cause and making this event bigger and better every single year! We all give back to our community that night and help take the blues out of Christmas for families in need! This wouldn't be possible without all of you... Thank you! We are currently seeking a few volunteers! If you are interested in helping out, please email the event organizer at carlamckie@hotmail.com. Some sample things we may need help with include putting up posters, assisting at the door collecting donations, selling 50/50, helping to lug gear, etc... All tasks the night of would be in short shifts so that you won't miss out on all of the fun!